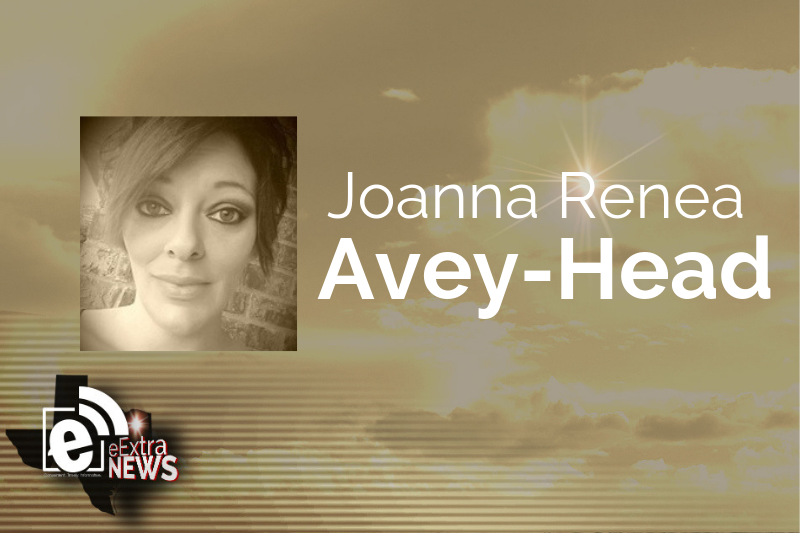 Joanna Renea Avey-Head, age 36, of Mt. Pleasant TX., passed away on Sunday, April 7, 2019 in Mt. Pleasant. Memorial services will be held on Tuesday, April 16, 2019 at 2 p.m. at the Curry-Welborn Funeral Home. Joanna was born on September 18, 1982 in Mt. Pleasant TX to James Davis Sr. and Mary Barnes. She is survived by her daughters, Sky Head, Morgan Head, Jenna Head, Krystal Head all of Hugo, OK, brothers; Jimmy Davis of Naples, TX, Bubba Barnes of DeKalb, TX, sisters; Heather Becton of Mt. Pleasant, TX., Latisha Greer of Fouke, AR., stepmother; Cathy Skidmore of Mt. Vernon, TX., stepfather; William Barnes of DeKalb, TX., Ex-Husband (friend), Chris Head of Hugo, OK.
She is preceded in death by her parents, James Davis Sr. and Mary Barnes, her grandparents, Diddy and Susie Davis, JoEtta and Joseph Grissom.